Arthur Kipps is the eponymous protagonist of Kipps, and he gets several mentions in J.I.M. Stewart's 1950's novel The Man Who Won the Pools. One of Phil Tombs' concerns when he first wins his fortune is an uncertainty about how he is going to fit in socially: will he share Kipps' torment when he finds himself in unfamiliar territory - will he know what to order in a restaurant, and which cutlery to use when confronted with an unfamiliar meal? Phil finds he copes just fine. 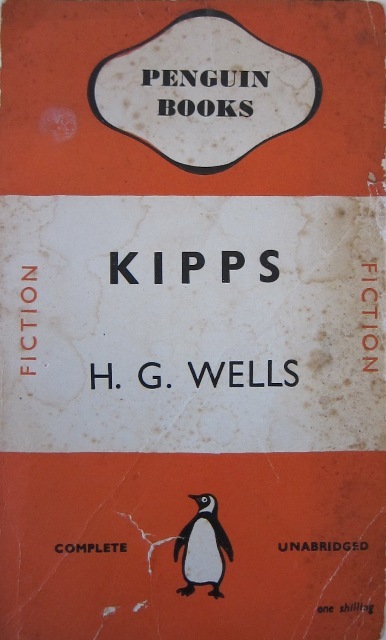 But I was intrigued by these references to Kipps; and one of the wonderful things about having a large collection of unread vintage paperbacks is that H.G. Wells' novel was waiting there on the bookshelf. Kipps was first published in 1905, and its concern is with the social conditions of the time, particularly the burden placed upon the working poor, and (what are presented as) the parasitic tendencies of the upper classes. Arthur Kipps is from the lower middle class, and when his story begins he is an orphan living with an aunt and uncle in their toyshop in New Romney, with little knowledge of his provenance, and no one encouraging him to enquire too closely. His aunt and uncle are very concerned with status, avoiding those beneath them who they consider 'low', while despising anyone who affects to be superior as 'stuck-up'. In particular, they look down on the Pornicks who keep the haberdashery shop next door, and discourage the lonely Kipps from having anything to do with the young Pornicks. But despite all that happens to him, and despite his aspirations to improve his status when the opportunity presents, he always recalls the time spent in the company of his 'low' neighbours as the happier moments of his life. At the age of 14 Kipps is apprenticed to a draper in Folkestone, and he embarks on his working life with an awareness that drudgery is to be a major part of his future. He works long hours within a system whose discipline is partly structured, and partly random, with those at the bottom having to endure the frustrations, ill tempers, and illogical thoughts of those above them. And it doesn't change - as Kipps ascends through the rank of apprentices he treats those beneath him just as unfairly. As unsatisfactory as Kipps finds his life, there seems to be no way out, as the wages are too low, and the hours too long, to enable anyone to plan for, or work towards, anything better. The course of Kipps' life seems largely beyond his control. But he is delivered from this mundane future by a series of random and unlikely events. A week after he loses his job he learns that he need never work again - he has inherited a large house and twelve hundred pounds a year from an unknown grandfather. But for Kipps, money implies status and respect, and he begins to conceive of himself as a gentleman, though one lacking in the most basic knowledge of how a gentleman should behave. He is tormented by the belief that he is doing everything in the wrong way, and that people are laughing at him. He suspects condescension in everyone he encounters; he makes decisions with a view to impressing people, rather than thinking on what he really wants. It seems that all this money only brings Kipps a new set of problems and worries. The author clearly wishes to convey that the possession of money isn't sufficient for happiness. But then the problem isn't really with the money - it is in Kipps' assumptions and aspirations. If he wasn't so concerned with other people and their perceptions, he would be fine. The narrator is amusing himself with these accounts of Kipps' worries and torments and poor decisions, but he remains sympathetic, as it is always clear that Kipps' isn't to blame for thinking this way. He is a product of the society in which he lives, and he has been conditioned by the attitudes of those amongst whom he was raised. The Man Who Won the Pools was clearly inspired by this story of Kipps, but the 1950s working class is presented as far more confident and far less deferential. Phil Tombs has self-respect and he has knowledge, and though he is momentarily sidetracked, he soon sees through the pretensions of the rich. He is portrayed as much more assertive and capable than his 1905 counterpart. This is a novel which I am glad to have read, but which I struggled to read. It was interesting to read H.G. Wells' views on Edwardian society, but the continuing list of Kipps' self-inflicted torments was just too long. It was clearly meant to be amusing, but after a while it became a little dull. 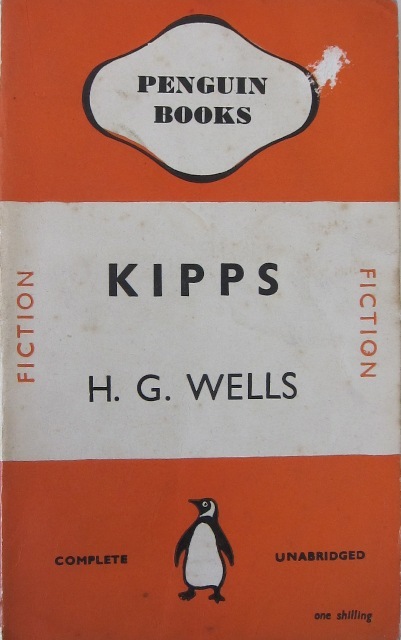 I always rather enjoyed Kipps, but it's a while since I read it. 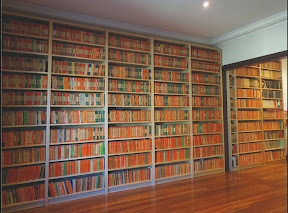 The novel is over-long perhaps - a bit of judicious pruning might have made it a little more cohesive. And it's not as good as The History of Mr Polly, which I love. looking back a bit: just read your review of jim stewart's "use of riches". glad to see you like him. i've read all, almost i think of michael innes works, but i was really blown away by his oxford quintet written under the stewart name. sometimes the writing slowed me down a little, but the pictures and events remain a permanent fixture in my brain pan. "a staircase in surrey" is the overall title. a remarkable evocation of a special time. try it.